Flowers are nature’s gems. They bloom for the sole purpose of making people happy and gifting flowers, floral arrangements and bouquets are amongst the most thoughtful things we can do for our near and dear ones, friends and even business associates. The tradition of gifting flowers in Italy is a long and storied one. For the shoe-shaped country in Europe, it dates back to Roman times, when the cult of ‘Flora’ the Goddess of nature, was popularized by Sabine Emperor named Titus. An annual ‘Floralia’ or festival of flowers was celebrated in the Roman Empire since ancient times. In more modern times the nation of Italy celebrates its natural abundance, by naming the ‘Stylized Lily’, the symbol of innocence, purity, and peace as its national flower. Like with many European countries, gifting flowers, floral arrangements and bouquets is a very important social tradition. Italians are among the largest gifters’, importers and consumers of flowers. The symbolism attached to flowers, their colors and the etiquette for presenting flowers to someone in a new country can often be a puzzling thing; so in this guide, you will find helpful tips so you never commit a faux pas while gifting flowers in Italy. Red Rose was considered to be the national flower of Italy, before the Lily. Roses in their different hues are thought to be perfect for a gift when expressing love, fidelity, romance, admiration, longing and good fortune. Sunflowers denote happiness, vigor, hope and good intentions. 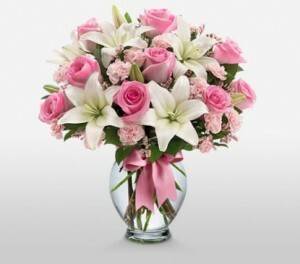 Lilies symbolize purity, innocence, goodwill, and love. Buttercups symbolize humility and innocence. Gerberas stand for purity, innocence, and playfulness since they come in many colors, they are often sent as a ‘pick-me-up’ to make someone’s day. Orchids are immensely popular in Italy and stand for love, luxury, strength, and virility. Carnations are a bit part player in most bouquets, but by themselves, they symbolize affection, good luck and deep admiration (depending on their colors). Italians are a merry, happy people, who believe that life is a celebration. Flowers are an integral part of most celebrations in Italy, and floral arrangements are hugely popular presents or gifts. Here then are some of the most important flower gifting days in Italy, along with some tips on choosing the best floral arrangements to suit the day/occasion. Valentine’s Day celebrated on February 14th it is easily one of the most important flowers gifting days in Italy. Italians are a romantic people and are known to be connoisseurs of fine flowers. Needless to say, the red and pink Rose is the centerpieces of this holiday. Romantic love expressed through flowers is a sight to behold as the country goes flora crazy. Along with Roses, floral arrangements in this country typically feature flowers like Lilies, Gerberas, Alstroemeria, Daisies, Fresh seasonal flowers, and buttercups. The high demand for roses on this particular day can sometimes mean that the prices can soar, as the occasion draws nearer. Don’t wait until the last minute! Time passes by pretty fast, so make sure you order sooner rather than later to avoid the higher cost and a possible late Mother’s Day gift. 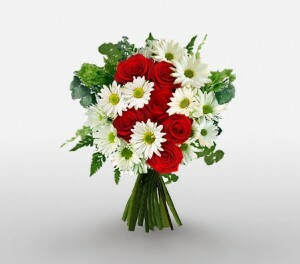 In case you do not get a popular Rose themed bouquet, don’t be discouraged, beautiful floral arrangements featuring Gerberas and Daisies are also a lovely gesture. Combine your bouquet with a plush toy like a teddy bear to really delight your spouse or lover. Women play a tremendous role in the life and culture of Italy. Celebrating their contributions and felicitating them for it is the point of Women’s Day. Celebrated (as it is internationally) on the 8th of March, Women’s Day is an important flower and floral gifting day in the country. Coinciding with spring, flowers in full bloom, mean that this season is rife with beautiful flora that is evident in their sheer abundance. Popular flowers at this time include Roses, Carnations, Gerberas, Lilies, Alstroemeria, Buttercups and other beautiful seasonal blooms. If you want a floral arrangement that truly stands out, think of a dramatic, single flower arrangement. Think white for purity, strength, and innocence. Lilies in a hand-tied arrangement or in an S-Shaped arrangement would make a lovely, thoughtful and unique gift for any important woman in your life. Mothers play an important role in the life of a child and are rightly called the ‘heart of the family’. In the traditional Italian family set up, the matriarch is the glue that binds the family together. She is the fulcrum and the center of your family life and as such is revered and praised. Mother’s Day celebrated on the 2nd Sunday in May is a holiday that Italians really adore. 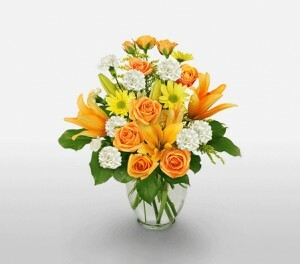 They take the time to make their mothers feel loved and cherished with floral arrangements that are simply spectacular. 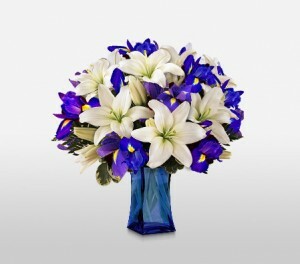 The most popular flowers for this event are Roses, Lilies, Gerberas, Alstroemeria, Carnations, and Iris. Along with flowers, food plays a pivotal role in any celebration in Italy. Sweets and baked goods are thoughtful additions to a floral arrangement as gifts. Easter is the most important festival of the Christian Church. It celebrates the resurrection of Christ and is held between 21st March and 25th April, on the first Sunday after the first full moon following the northern spring equinox. Traditionally White flowers are the foremost choice for Easter, but you can send a colorful arrangement of Pink Lilies or Mixed Color Roses in a woven basket. Great choices for Easter include spring flowers like Daffodil, Tulip, Rhododendron & Azaleas. The Italians are a family oriented culture and parents are at the center of many of their celebrations. Little wonder then that Father’s Day is a big deal there. Celebrated at the beginning of the warm season in the third week of June, Father’s Day coincides with a time of plentiful floral abundance. Italian fathers, therefore, are treated to a floral feast like no other, with Roses, Lilies, Alstroemeria, Gerberas, Lilies, mixed seasonal flowers, Sunflowers and many more in full bloom. In order to really send a gift that makes an impression, combine your floral arrangement with cheese, crackers and fruit baskets. Italy is home to the Vatican and a significant Roman Catholic population. Naturally then, Christmas is one of the most important and widely celebrated festivals in the country. Celebrated in the peak of the winter, Christmas brings together loved ones, friends and family to celebrate the birth of Christ, in love and togetherness. It is only natural then, that it is one of those occasions when floral arrangements, bouquets, and centerpieces take the place of pride. And though in the grip of a chilly winter, flowers abound at a Christmas celebration. The most popular arrangement feature Roses, Lilies, Carnations, Gerberas, Chrysanthemums, Amaryllis, Pine-Cones, mini Callas and many more beautiful natural assortments. 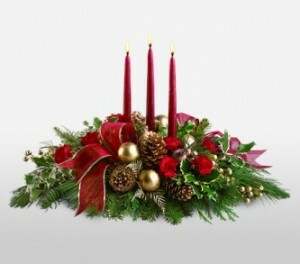 Chocolates, candles, fruits and cinnamon sticks are also a wonderful addition to centerpieces at this festival. Roses can be pretty scarce to come by around Christmas time, because of additional demand. Book your floral arrangement several weeks in advance, or failing to do so, invest in a luxurious centerpiece that features flowers, fruit, snacks, chocolate and Christmas accouterments in order to really infuse the occasion with creative and festive flair. Choosing The Right Flowers For Different Occasions? Flowers are known to express the emotions that we cannot give words to. They are a delicate and gentle expression of what we feel and make for thoughtful gifts of love. Human life is full of occasions that bring us closer together and as emotional people, Italians love celebrating the little joys of life. So here’s a primer on choosing the right flowers for the right occasion in Italy. Birthdays or ‘Compleanno’ (completed a year as known in Italy) are joyous occasions. Family and friends come together to celebrate the day in question and floral arrangements are a popular gifting you can do for them. The flowers to go with: As with most of the world, Italy too believes in the concept of birth flowers. 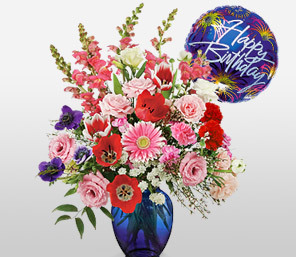 A thoughtful floral arrangement, therefore, should definitely feature the recipient’s birth flower. Team these up with a hero flower like a Lily, Tulip or Roses to really elevate the gift. Combinations: While flowers are great gifts in themselves, combining them with a thoughtful gift (like a cake, a gift card or a voucher) is definitely the way to go. Arrangement Style: A hand-tied bouquet is a wonderful artisanal approach to gifting flowers. For another style, try an arrangement with its own vase, or a vertical or S-Shaped one. Fresh seasonal flowers are an excellent birthday gift, as they tend to hold and stay longer than exotic flowers, which wilt in alien climes. Weddings are large, grandiose and traditional affairs in Italy. Italian weddings, especially in the summer are held in the great outdoors and are occasions when the entire clan celebrates in a festive atmosphere, where floral arrangements and bouquets play an important role. The flowers to go with: Roses, Lilies, Gerberas (in different colors) and seasonal flowers like Orchids are the staples of a wedding bouquet. Combinations: Like most European countries, Italy also has a tradition of wedding registries where the couple registers for the gifts they seek to receive. Combining your floral arrangement with something that they truly want is a definitely elegant touch. Arrangement Style: Seasonal flowers or single colored arrangements in a hand tied, vertical arrangement or even an S-shaped bouquet are the most sought after arrangement styles. Infuse your floral gift with nostalgia, by perusing photographs of the bridal couple’s parents’ wedding and recreate a beautiful floral arrangement that their parents may have had at their wedding. 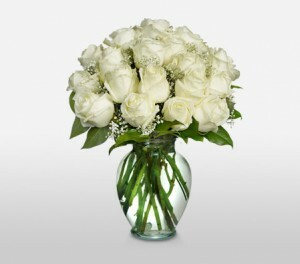 The flowers to go with: Any white flower is thought to be an appropriate offering at an occasion like this. Therefore lilies, white roses, white daisies. 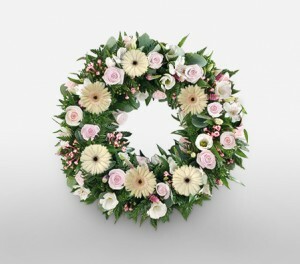 chrysanthemums and others are all popular choices for a funerary floral arrangement or wreath. Arrangement Style: Wreaths and sprays are the preferred styles of the bouquet as they can be placed directly on the coffin or grave. While flowers are the standard at a funeral. A loving tribute to the deceased would definitely be a bouquet or wreath of their favorite flowers. Italy & It’s Flower Market? Italy is one of the European Union’s most important states. As a leading consumer of flowers, it is looked at as an important importer. Tulips and Gardenias end up in Italian markets from countries like The Netherlands and Belgium. Tube-Roses and other varieties are imported from places as diverse as Central and South America, China and India. Seasonal flowers from Germany and other EU countries are also very popular. Choose fresh. Seasonal, flowers: Fresh, seasonal flowers keep longer, are hardier and add a real colorful and thoughtful touch to any floral arrangement. Local over imports: Local flowers have special significance to people and are especially appreciated during festivals, weddings, birthdays and funerals because of their symbology. 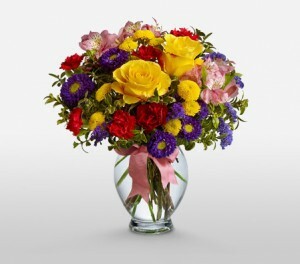 Check the overall state of the flowers: Remember to take a close look at the flowers before buying them. Reject wilting, discolored or flowers showing any wear. There is nothing pleasant about receiving a badly constructed bouquet with wilting flowers. It shows malcontent or bad intentions. Research the meaning of flowers: Understanding the meaning of flowers and flower colors before you send them to anyone is important. Do a little reading on the meaning of flowers before you shop for them. For instance, you should never send a bouquet of Lilies (in solitude) to a celebration of a wedding, because in some countries and states they are thought of as grave flowers. Pruning the stems of the cut flowers help them absorb nutrition better. Therefore cut and re-cut the stems of your bouquet every few days to make them last longer. Add a little sugar or lemon juice to the water in the vase, to reduce the acidity of the water and provide the cut flowers with some nutrition. Carbonated drinks like soda can be used to keep flowers fresher for longer. Add a quarter cup of soda to clear water and watch your cut flowers stay fresher for longer. Italy is a country that is high on tradition, celebration and family. Flowers and floral arrangements are therefore extremely important to the culture of the country. Following these simple tips and tricks will enable you to gift floral arrangements in an appropriate way, with confidence and class.